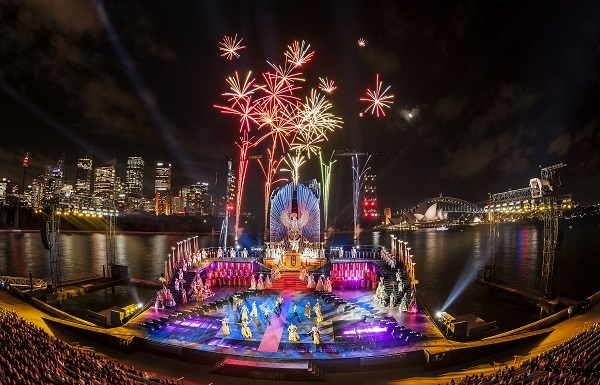 Once again Segafredo Zanetti Australia has been the official coffee supplier of one of the world’s most spectacular outdoor events, Handa Opera on Sydney Harbour. This year the event took place for 4 weeks between March 27 and April 26th and it celebrated a modern retelling of Verdi’s AIDA. With Handa Opera on Sydney Harbour’s reputation as a world-class production growing each year, Sydney-siders, interstate and international visitors flocked to the event like never before. The result was more than 55,000 seats sold, representing a box office increase of 45%. Segafredo coffee, chocolate and Brodies teas were served to approx. 20.000 visitors.